Conscious Capitalism Chapter of Boston - What is CC? Conscious Capitalism is simply a better way to do business. It is a philosophical approach to capitalism that better reflects where we are in the human journey, the state of our world today, and the innate potential of business to make a positive impact on the world. Elevating humanity through business begins with knowing WHY your company exists. Without this, you have no compass to find and stay focused on your True North. Businesses should exist for reasons beyond just making a profit. We see profit as a necessary means to achieving your purpose - not as an end in and of itself. Critical to achieving your purpose is to value and care for EVERYONE that touches your business. This includes your employees, customers, suppliers, partners, investors, community, environment, and sometimes even your competition. Motivate all stakeholders by creating "win-win-win" outcomes for all who are impacted by your business's decisions. Conscious businesses cannot exist without Conscious Leaders. They are the stewards, the pioneers of good. They keep the business focused on its Purpose. They reject a zero-sum, trade-oriented view of business and seek creative, synergistic solutions for all stakeholders. Without better leaders, there is no better world. Period. The culture of your business is its heartbeat. Without a healthy one, the business will ultimately fail. Cultures are as unique as the people who comprise them, but commonalities include trust, accountability, transparency, integrity, loyalty, egalitarianism, fairness, personal growth, and love and care. How's that for a great place to work? 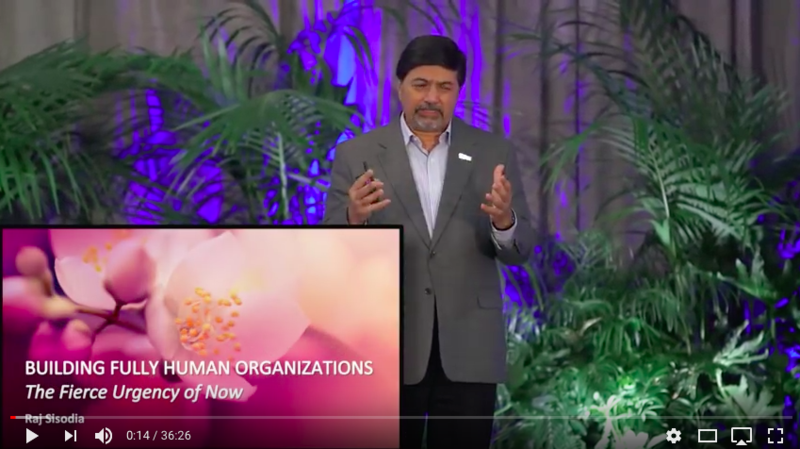 For a deeper dive into Conscious Capitalism, check out this talk given by Raj Sisodia, a founding member of the Conscious Capitalism movement. In the video, he discusses Conscious Leadership and Building Fully Human Organizations.